His tired gray eyes scanned the horizon just as they had done time after time, day after day, for who knows how long. 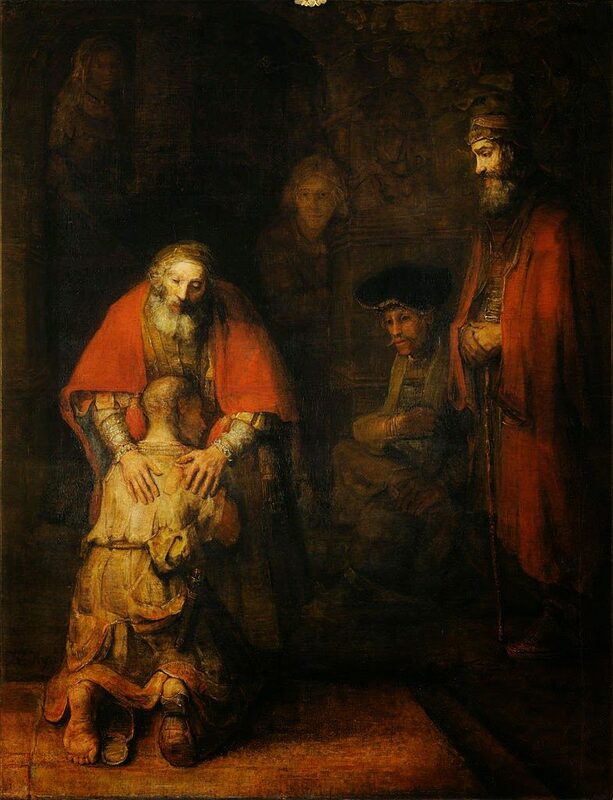 Ever since his youngest son had demanded his portion of the inheritance and took off to places unknown, this loving father had prayed and waited and watched. How many times had he heard a strange sound and run to the window to search the horizon for the familiar figure of his precious boy? He had lost count a long time ago. winding road for the answer to his constant petition. As always, nothing but a breeze stirred the dust on the little traveled path. But wait! The gray-headed parent paused and cocked his ear to listen. His tender heart sensed more than heard the far off tread of timid feet. He turned his eager eyes once more towards the avenue leading to his farm and his great compassionate heart leaped in his chest.